ACTIVISTS are opposing a 43-mile-long wall designed to stop wild boar spreading disease. 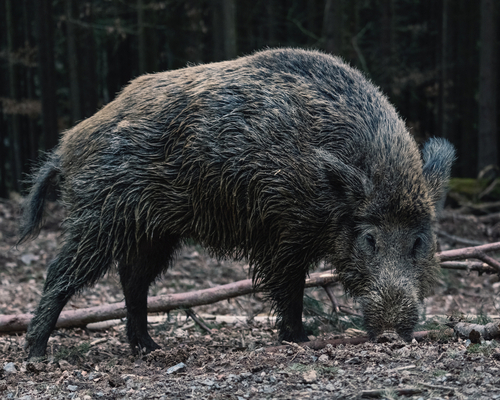 They claim the five-foot high wall designed to stop German wild boar spreading African swine fever into Denmark will disrupt wildlife. But it is feared if the wall is not finished the world famous Danish bacon industry could be decimated by the disease. Denmark fears an outbreak could destroy the industry worth 4 billion Euros a year and lead to 33,000 jobs lost. Activists have called for construction to be halted. They say it will disturb wolves, otters and golden jackals and be ineffective against the wild boar. Danish officials say African swine fever, which is harmless to humans, is almost always fatal in pigs. The disease has spread into Europe, with cases reported in Belgium, Poland, the Czech Republic, Hungary and the Baltic states.